Michigan Mountain Biking Association and m-bike.org. The latter doesn’t seem to be updated much if at all recently. 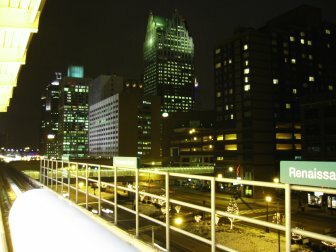 There is also the Detroit BikeBlog from where I stole the picture of the new carousel and RiverWalk. Also, don’t forget about Detroit Bikes! although since they rode recently they probably won’t again for awhile. Great blog here, nice design and seems like the place to catch up on news.